Like you probably know, a lot of different graphics mods for B&W exist. You can change the textures, you can change the color of things like fireballs and teleports... Now there is a better way of doing it. 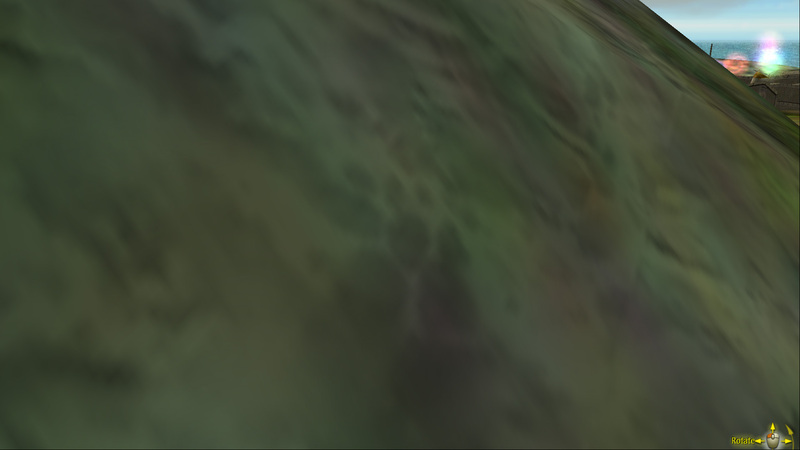 .l3d files can only have 256 x 256 textures (16 bits per pixel, BGRA). The game is sending them without any changes, same quality like they are. .raw textures are separated into two files each: one for RGB data (24 bits per pixel), another for Alpha data (8 bits per pixel). Technically it is a good quality and it allows to use square textures of any resolution. 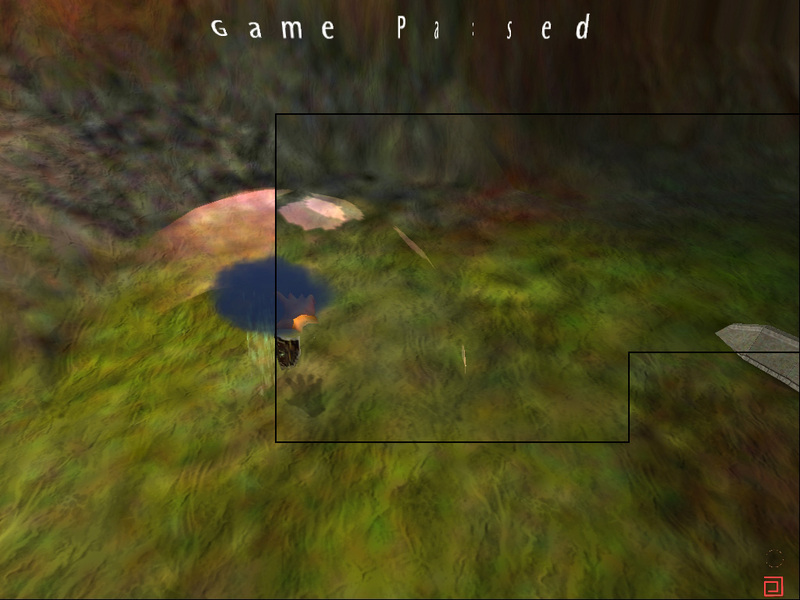 But the game opens both, gathers information and puts it together into one 256 x 256 texture (16 bits per pixel, BGRA). If you would make texture mods, you would be limited by the low resolution and low quality. And when sending the .l3d files you would need to send them together with other data (for example vertex data, bones, other textures). And when sending .raw files they would weight twice as much as used. And the user of the mod would need to replace the game files. Which is very, very, very bad. I mean, very. Bad. 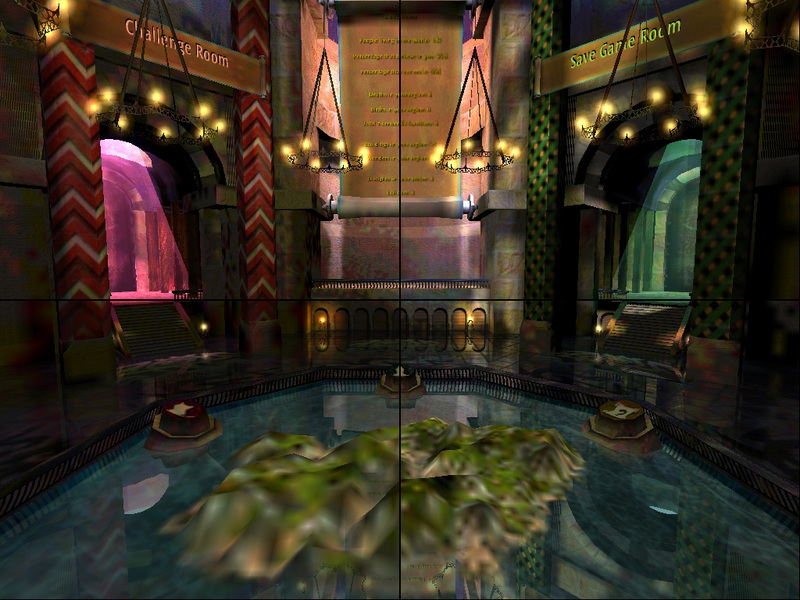 This project allows to use custom textures of practically any resolution and 32 bits per pixel. 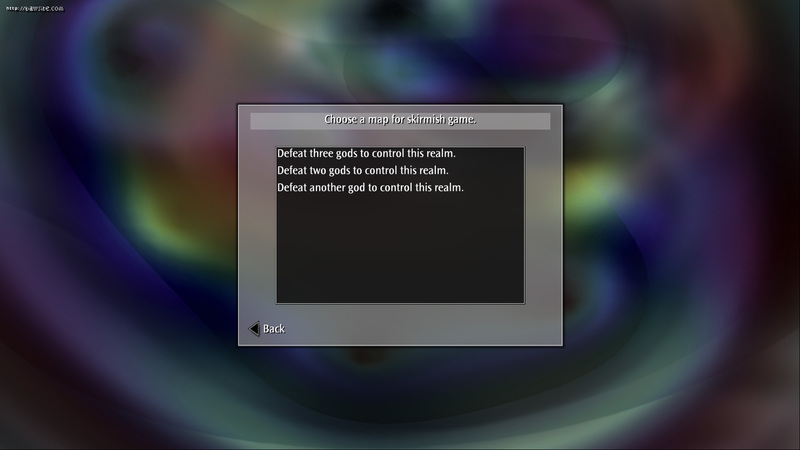 And allows doing it without replacing the game files. 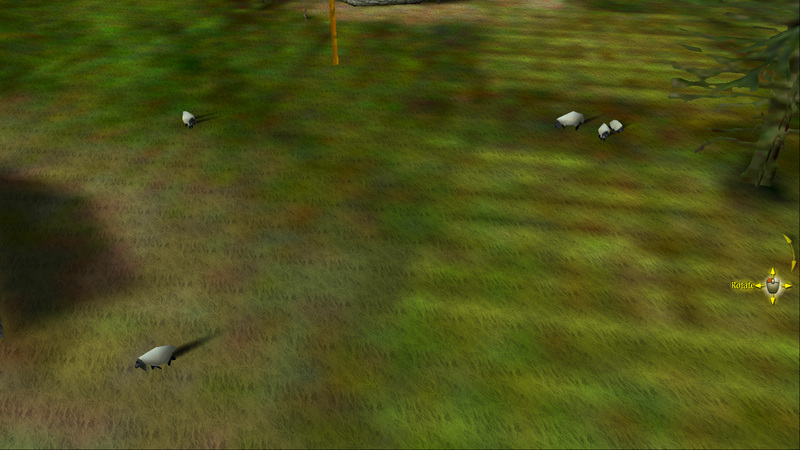 Allows even the replacement of textures in .l3d without storing any other data in the mod itself. It also allows to change the color of vertices which can't be achieved by the editing of textures and is used, for example, in the coloring of fire and things which have the color of a player (temple beams, player symbol, influence rings, gestures and so on). This project also allows to make simple modifications with the help of simple commands, so there would be no need in storing of big texture files. Was tested in Windows XP, Windows 8.1, Windows 98. In Windows 98 needed to rename ddraw.dll into fdraw.dll and edit the .exe file of the game with the help of the XVI32. Still worked not as intended. Everything was red. 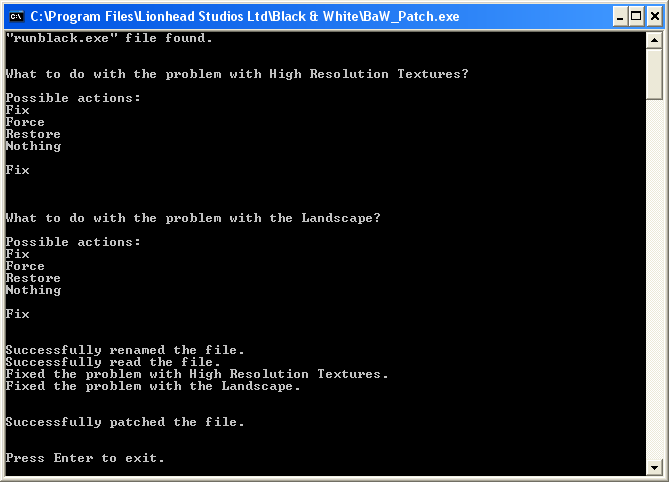 Restores even the lhlogr.dll, which is not restored even by the B&W Patch Uninstaller 2.0. Has some official files in it, which are not a property of the owners of this site. A Black & White patch (works for Creature Isle too) for fixing two important problems with graphics on newer Windowses and third problem with Add-ons. Toggle allowed, can activate or deactivate one or more problems for comparison. The game was designed for 256 x 256 high-resolution textures, but often uses low-resolution (128 x 128), because it "thinks" that there is not enough video memory left. The problem is that the game makes a bad check. It accepts negative values. And DirectDraw of 64-bit Windowses often gives too high values. They are so high, that they are seen as negative and become the reason why low-resolution textures are being forced by the game. 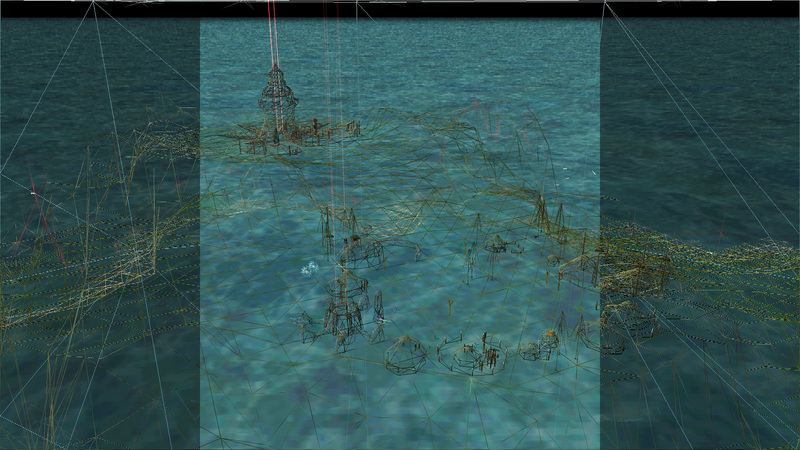 Even if Maximum Detail is chosen by the player. 2) Forced low draw distance of the Landscape. In the game the landscape "morphs" when you zoom out far enough. The details become much worse. In version 1.00 this distance was pretty short and there was no way to make it better. 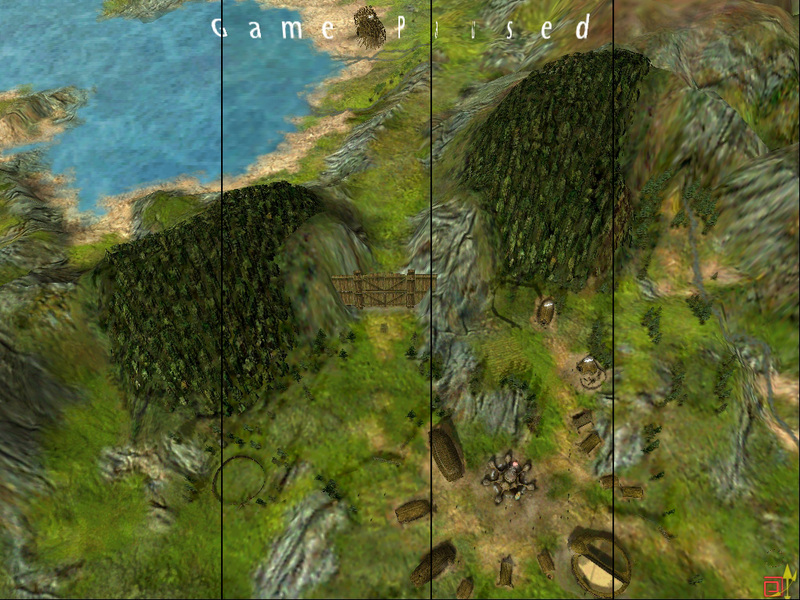 But in version 1.10 and higher the distance was increased (if Maximum Detail is chosen in the settings). 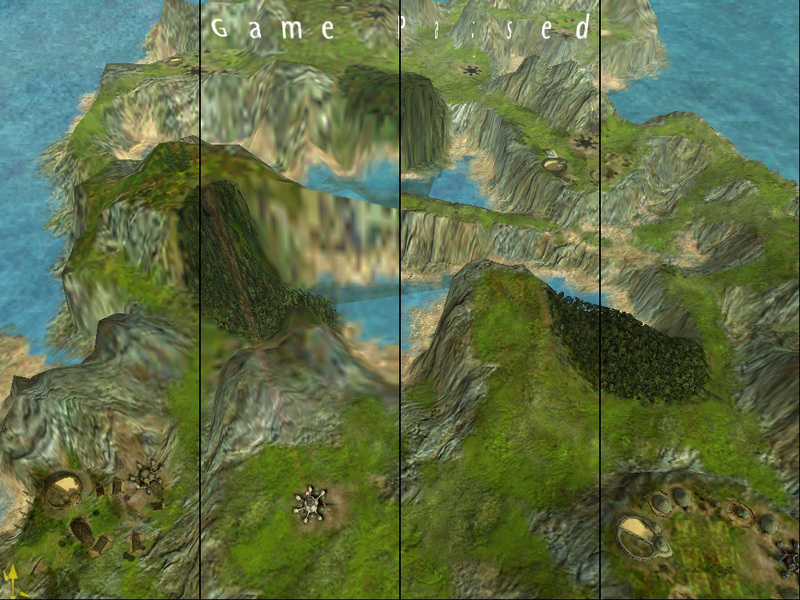 But because of another bad check, the game "morphs" the landscape much faster than it should and keeps the distance like it was in 1.00. Not using the new feature. 2. If the family of the processor is 15. 3. If SSE2 is supported. The problem is in the processor check. Most newer processors are much stronger than those of family 15, but are still seen by the game as too weak for good draw distance. In version 1.10 support for two new Add-ons was addded: Football add-on and MP3 Add-on. But this support depends on the ProductId in HKEY_LOCAL_MACHINE\SOFTWARE\Microsoft\Windows\CurrentVersion in the Registry. And because of a bad check the game gives up when it does not find one. On newer Windowses ProductId in that place is missing. This patch solves all three of the problems by fixing/skipping the checks. 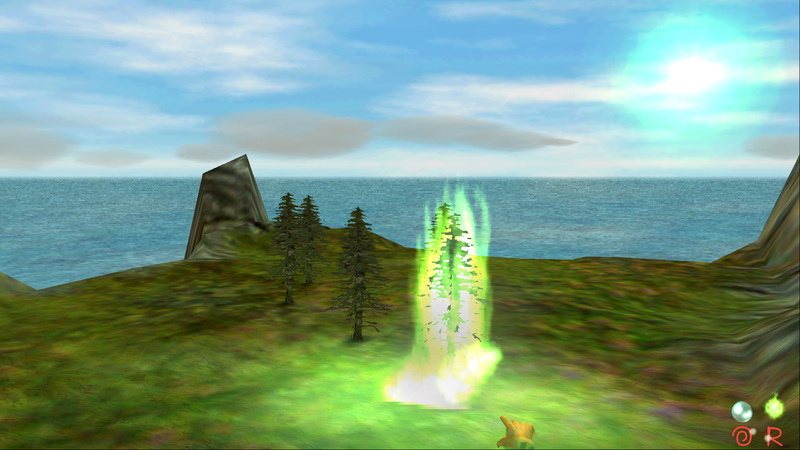 It allows the game graphics to be much better and makes Add-ons work like intended. Just put it into the folder with runblack.exe, launch it and type "Fix" in the patch window three times. Then close it and launch the game. It modifies the .exe file without touching anything else. It even makes a backup of it. Most players see the bad textures and low draw distance as something natural, because they never saw anything better. Try the patch and check, how the game was originally designed to be. Patch works in any Windows starting with Windows 95. It works for the Creature Isle expansion too. I hope, you will enjoy it. This great game deserves it. P.S. Keep in mind that this patch will fix the game only if the game was cracked. So, if you are playing with CD/DVD without the crack, it will not work. Fixes a graphics problem with High Resolution Textures. Fixes a graphics problem with the Landscape. Fixes a problem which hinders the usage of Football add-on and MP3 Add-on. These files belong to the site owners if not stated otherwise. Do not publically redistribute them without permission of any of the site owners.